There are several personality traits that can be somewhat "off-putting", but I would assume that most people would place the trait of "self-righteousness" high on their list of undesirable qualities. Self-righteous people carry themselves as if they are better than everyone else. They look down on others and make people feel weak and insignificant. They sneer at others' mistakes and errors, and they rarely hesitate to puff themselves up in your presence in the hopes that you'll validate them in some fashion. Self-righteousness is what many people in this world expect to experience when they encounter devoted Christians. Quite possibly, someone they have encountered in the past has left them with that impression, or maybe they've bought into the ways Christians are stereotyped in the media. Maybe they've even been on the receiving end of hurtful condemnation from a person who professes to believe in Jesus. Have you ever asked yourself if self-righteousness is an issue that's present in your life? Have you ever experienced the damaging effects it can have on relationships? Would you like your life to give others a better glimpse of the presence of Christ within you? If so, Romans 2 gives us great counsel. In this portion of Scripture, we're shown what self-righteousness looks like, and we're also warned that it comes at a cost. So, what can self-righteousness cost me? The early church in Rome consisted of believers who had different backgrounds. Some believers grew up immersed in Gentile (Greek) culture. Other believers grew up following the traditions of Judaism. It can be very easy to point out the faults of those who grew up differently from us, and a little more difficult to notice our own faults. That was somewhat common among the believers in Rome. In Chapter 1 of the book of Romans, Paul pointed out the willful sins of the unbelieving world, and I'm sure many of those who came from a Jewish background echoed Paul's thoughts, but in this chapter, Paul wanted to make it clear that those who grew up in the religious traditions of Judaism also needed Christ to save them from sin. Why is it difficult to be introspective? When we're introspective, we're opening ourselves up to identify and admit that we aren't perfect. It's much easier to identify someone else's imperfections because their failures don't necessarily reflect on us, and their weaknesses might be in areas where we feel particularly strong. But God hasn't called us to go through this life judging and condemning others because the truth is, we're all in the same boat. What's more fruitful, spending our lives pointing out the sins and faults of others or identifying and repenting of our own? This Scripture reminds us that we are guilty of the same exact sins we take delight in pointing out in the lives of others. Every sin at its core is the fruit of unbelief. Can any one of us say that we have always believed every promise of God in every moment of our lives, or is there clear evidence that we still struggle to believe and apply the truth of His gospel in some of our weaker moments? Self-righteousness is a very costly thing to practice. One of the biggest expenses we'll experience if self-righteousness isn't rooted out of our lives, is the loss of our ability to identify issues in our own lives that need to be addressed and confessed. We'll embrace our sin because we'll become blissfully ignorant of the fact that it's present. We'll comfort it, nurture it, and give it a place of prominence in our lives. It will eventually destroy our reputations, hurt our ability to make Christ known to others, and inhibit the development of our spiritual maturity. Self-righteousness will cost us the ability to identify issues in our lives that desperately need to be addressed. What else will it cost us? During my high school and college years, I spent a lot of time serving in camping ministry. I learned a lot about the Lord, about myself, and about leadership through that experience. When I first became a Summer camp counselor, I was given a piece of advice from a school teacher that I tried to implement until I realized it was bad advice. She told me that when it came to school, she "never smiled until Thanksgiving." I tried to implement that concept by being stern and somewhat unpleasant to my campers for the first few days each week in the hopes that it would help me maintain discipline. It actually had the opposite effect. In future years I learned that it was both possible and preferable to set reasonable expectations and maintain order while also being genuinely warm and kind. God is kind to us. He's kind in ways that we certainly do not deserve. He comforts us in our grief. He grants us hope beyond our circumstances. God the Father even sent God the Son to this earth to bear our sin and condemnation upon Himself at the cross so that we could be redeemed and forgiven. There is no greater example of kindness that that. God is even patient with us while we go through the sanctifying process He's walking us through. As we trust in Him, and walk through life empowered by Him, our faith gradually matures. We learn from our mistakes, and our appreciation for the depth of God's love for us helps us understand that it's safe to repent of our sins to Him. He knows we're struggling, but He is patiently teaching us that we can hand our struggles over to Him and stop embracing our former sins. But here's where our sinful nature makes this complicated. Sometimes, even though we know that God's wrath will be poured out upon all sin and unrighteousness, we can try to justify our desire to rebel against Him because we're convinced that He will forgive us anyway. We tell ourselves things like, "Well, I know that I shouldn't do this, but I know God loves me and I don't think He will hold it against me." Why is that a tragic perspective? That perspective is tragic because it makes light of the fact that Christ suffered for us to make us righteous, not to hand us back over to the earthly passions that used to enslave us. Making light of God's kindness is also tragic because it's the same thing as responding to God's hugs with a slap. He reaches out to embrace us and we respond with an aggressive slap to His face. That's not His desire for us. God wants us to appreciate His kindness, not try to take advantage of it. But the spirit of self-righteousness says, "I don't need the kindness of God. I don't have anything to repent about anyway. I'm fine as I am. Focus on someone else and leave me alone." What a sad way to respond to the kindness and mercy of God. What does the future hold for us? Do you look forward to the future, or do you dread it? If you have genuinely trusted in Jesus Christ, you are sealed with the Holy Spirit and marked as belonging to God forever. That being the case, how do you feel about Paul's teaching in this passage that everyone will one day come before the throne of God to have their life evaluated and judged. Does that thought trouble you? Is that something you ever really think about? This Scripture teaches us that our works will be evaluated by the Lord. If we live by faith in Christ and our earthly life was conducted with eternity in view, we have a lot to look forward to. But if we spent our lives absorbed in the false promises of self-righteousness and never received the righteousness of Christ by faith, we have the wrath and fury of God in store for us. Paul reveals to us that we will effectively experience in eternity whatever we embraced in this life, regardless of our heritage or background. If we embraced evil, we will experience an eternity of tribulation and distress. If we embrace the righteousness of Christ, that will be shown by the goodness of God on display in our lives, and we will experience an eternity of glory and honor in Christ's presence. If the only righteousness in our lives is self-righteousness, we'll lose sight of eternity. We'll be so full of ourselves that we won't really give the Lord, and what He has in store, much thought at all. Not long ago, I encountered a man and a woman whose lives were primarily characterized by short-term thinking. From the time they were young, they rarely made decisions with the long-term in mind. When their finances were good, they wasted them. When their health was fine, they abused it. Now they're at the age when those decisions have caught up with them. They spent most of their lives living like this day would never come, but now it's here. Why does God tell us things about judgment, wrath, honor, and glory in passages like this? Is it because He's cruel or because He's kind? I believe He's telling us what we need to know ahead of time because He's kind. He is mercifully granting us time to prepare for what comes next. He is graciously helping us to see that we're one day closer to the day when we'll see Him face-to-face and give our final account. That day is absolutely coming, so in the meantime, do yourself a huge favor and ask yourself the question, "Where does my sense of righteousness come from?" 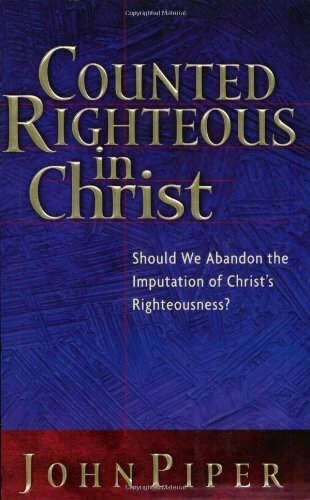 Is it a form of self-righteousness that's costing me something, or is my sense of righteousness anchored in the righteousness of Christ who graciously grants me all things?